The Bed-Stuy Gateway Business Improvement District (BID) is among the more than 70 BIDs that serve 85,000 businesses and invests $134 million annually in New York City neighborhoods. A business improvement district (BID) is a public-private partnership to stimulate economic development and improve the overall quality of life for merchants, residents, and patrons within a defined boundary. Property owners and businesses pay an additional tax or fee to the City of New York to fund supplemental services such as marketing, street cleaning, public safety, and beautification of their commercial district. The BID, which operates under The Department of Small Business Services (SBS), provides these services in addition to those already provided by the municipality. The Bed-Stuy Gateway BID, located in central Brooklyn, is one of Brooklyn’s most prominent commercial and cultural focal points. We represent a growing, eclectic community of entrepreneurs, nonprofit and arts organizations, families, artists, advocates who are proud to call Bedford-Stuyvesant – home. Since 2009, we have partnered with our neighbors and stakeholders to enrich our community through economic development while promoting our cultural diversity.. Through our wide array of programs and services, Bedford-Stuyvesant is thriving and has become a popular destination for all things Brooklyn. 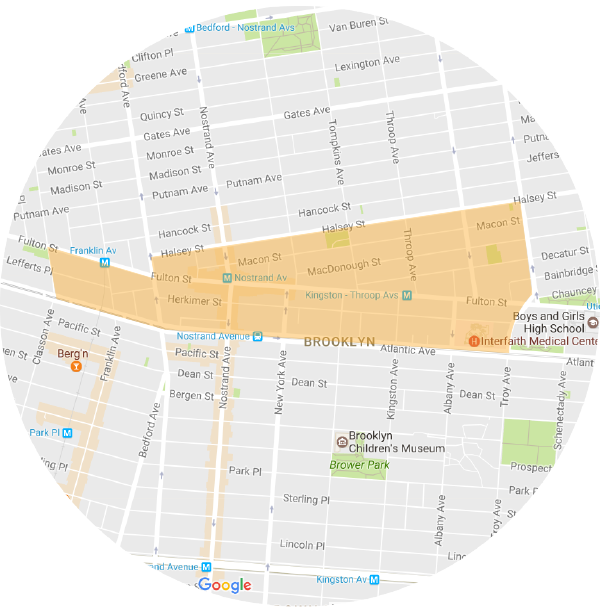 For nearly 30 years property owners, merchants and residents of the Bedford-Stuyvesant section of Brooklyn, New York, sought to form an organization specifically dedicated to address threats to business vitality and to build on local assets throughout Central Brooklyn’s primary commercial corridor. Shaped by the passion and strength of the Fulton/Nostrand United Merchants Association, the technical assistance of Bedford-Stuyvesant Restoration Corporation, and partnerships with the Brooklyn Chamber of Commerce and the NYC Department of Small Business Services, “Fulton FIRST” was formed — a local economic development initiative focused on the retail revitalization of Fulton Street. The years that followed consisted of strategic planning and community organizing for the purpose of forming the Gateway. On March 30, 2009 Mayor Michael Bloomberg signed legislation establishing the Bed-Stuy Gateway Business Improvement District as the City’s 64th BID. Click on the links below to download our reports. Candice Julien Representing Brooklyn Borough Pres. For over 30 years, Medina Sadiq has been instrumental to the furtherance of social and economic justice within and beyond the City of New York. She initially worked as a Project Officer at the U.S. Centers for Disease Control in Atlanta before transitioning into law school, earning a Juris Doctorate degree conferred by the Northeastern University School of Law. Upon graduation, Ms. Sadiq became the founder and executive director of A Better Bronx For Youth Consortium, a community-based organization that provided technical assistance and grants to youth-oriented organizations in the Bronx to ensure equitable access to opportunities. After developing programs that reached thousands of youth, she went on to serve as the CEO of a community-based security service with over 700 employees. Medina later spent some time in the Caribbean where she honed her craft in the area of economic development and commercial revitalization; then brought entrepreneurs from various island nations to develop joint business ventures. 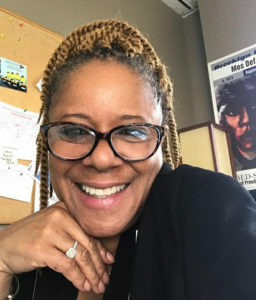 In 2008, Ms. Sadiq became the founding executive director of the Southern Boulevard Business Improvement District, which she successfully transformed into a popular commercial corridor. Recognizing her unique ability and leadership in strengthening urban commercial districts, Medina was welcomed to the borough of Brooklyn as the Executive Director of the Bedford Stuyvesant Business Improvement District. With so many accomplishments, Medina’s pride and joy continues to be her children, Garrett Lucien, MBA and Jamaal Jones, J.D. ; grandson, Jahson and her beautiful daughter, Princess Jasmine. We work in collaboration with amazing, business savvy organizations.